As the name implies, punitive damages are meant to punish a defendant, in order to deter such conduct in the future. 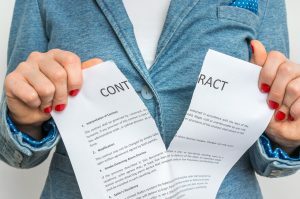 These are distinguished from compensatory damages, which compensate a victim for his or her losses directly related to the breach of contract and thereby restore the victim to the position he or she was in before the breach. Compensatory damages have long been a generally-accepted goal of the civil justice system in America. Punitive damages, on the other hand, are more controversial. Some opponents classify them as a “windfall” to the plaintiff that goes too far beyond the original harm he or she suffered. Proponents argue that egregious conduct must be deterred. Because punitive damages are so controversial, laws vary widely from state to state. The California Civil Code makes general provision for punitive damages in civil cases when the defendant is guilty of oppression, fraud or malice. The amount of these damages will vary based upon the circumstances of the case. In determining the amount of punitive damages, the Code guides courts to consider (a) the financial gains the defendant incurred as a result of its wrongful conduct, and (b) the financial condition of the defendant. Federal law also limits the amount of punitive damages available to civil plaintiffs. In 2003, the Supreme Court decided State Farm v. Campbell, which held that punitive damages are limited by the due process clause of the Constitution. In general, punitive damages which exceed nine times the amount of compensatory damages are prohibited by due process. If you have questions about any contractual rights or responsibilities, the experienced contract law attorneys at Structure Law Group are here to help. Call (408) 441-7500, email slgadmin@structurelaw.com or use our online contact form to schedule your consultation today.